Bike, skate, play, climb on a jungle gym, jog past gardens and art displays, enjoy a performance, join an impromptu soccer game, or learn about ecology and wildlife. Seoul Forest is fast becoming the Central Park of Seoul, with over 1.2 million square meters divided into five distinct areas complete with a variety of flora, fauna, and fitness options to keep you entertained all day. Take the green line to Ttukseom Station and follow the signs a few short blocks to the park. Bring a picnic lunch or something to toss on the grill! And definitely bring an extra camera battery because the opportunities for great shots are endless. 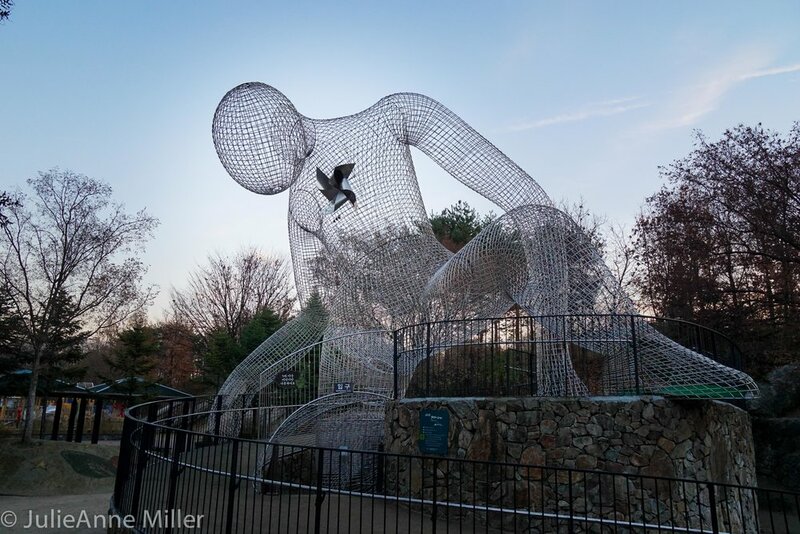 Seoul Forest is situated on a promontory of the Han River and its various areas -- including the Culture and Art Park, Ecological Forest, Nature Study Field, Wetlands Ecological Zone, and Han River Waterside Park -- are connected by bicycle trails and walking paths. The park features an outdoor stage, a main square selling food and beverages, play areas, sports zone (basketball court, skate park, tennis courts and more), gardens, and a butterfly green house. The marina has ferry rides along the Han River. There is something for everyone at this park!